This is really interesting viewing/reading if you are interested in what brands/companies are doing their bit for our environment. 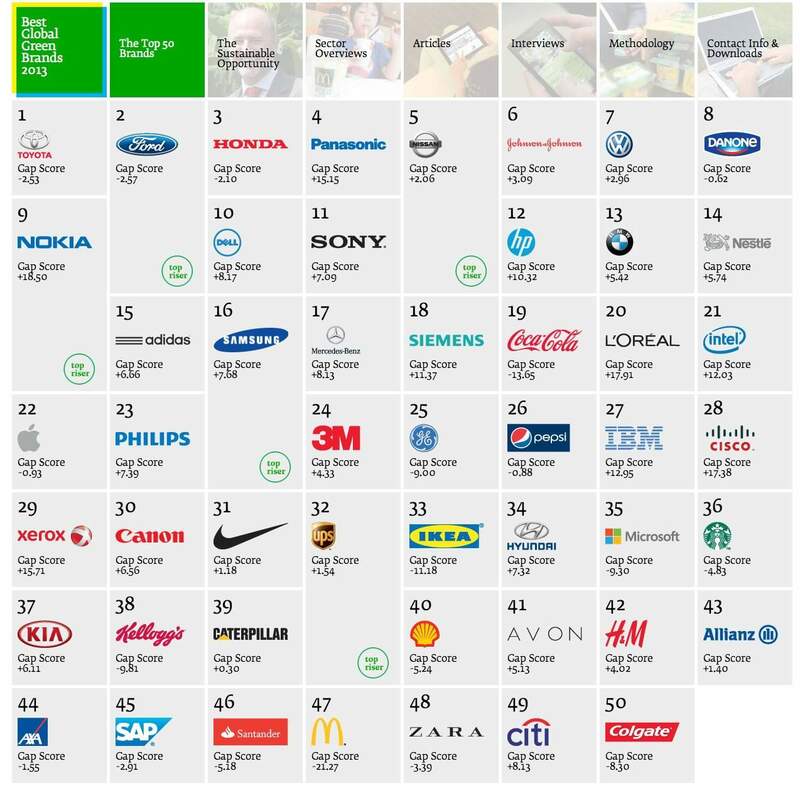 Interbrand have created this dynamic Top 50 list that allows you to see information relative to each brand, and their commitment to adopting ‘greener’ technologies and work practices. Specifically, it’s about sustainability: defined as an ongoing effort to improves the quaity of human life while living within the limits of supporting ecosystems. It’s definitely worth checking the first row of boxes as these provide essential information that allows you to put the results all into context.